When it comes to chalking out a successful marketing plan, it’s vital to consider the impact that a trade show can have on your business. These events offer brands the perfect opportunity to showcase all their offerings, meet with prospective clients and sign lucrative deals all at once. Of course, there’s bound to be intense competition on the show floor, so if you want to meet your trade show goals, you will need to plan everything to perfection. If you’re a bit concerned about getting things right at an upcoming trade show, don’t worry. Check out our list of important dos and don’ts, and you’ll be well on your way to enjoying a flawless trade show experience. It’s always a good idea to check who else has booked an exhibit at the trade show. This will give you some indication of how popular the event is likely to be. 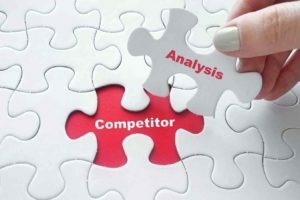 If big competitors have started participating in the event over the last few years, it means the trade show is growing in popularity and you’re likely to enjoy quite a bit of success. You should also do a little research about what has worked for companies at the event previously. You can then create your trade show plan accordingly. If you’ve decided to participate in a trade show then you must have some idea of what you hope to achieve at the end of the event. Your target might be to launch a new product, gather new leads, meet new business partners, or sell a certain product. Once you know what you’d like to accomplish at the end of the event, you can easily plan out your finances and booth design. Depending on your business model and marketing allowance, you will need to set your trade show budget. The process of finalizing a budget could take several months and it is not something that should be taken lightly. There are a number of hidden costs that many companies overlook while preparing for an exhibition. This can often lead to overspending and a disastrous trade show experience. A good rule of thumb is to allocate 30-35% of your budget for the reservation of your space at the event. Your booth’s location on the show floor will dictate the amount of traffic that comes your way. Generally, the first few brands to book their spot will have the opportunity to choose the exact location of their booth. Certain organizers will allow you to pay a slight premium for a better spot near the entrance of the event. If you have the means to purchase a larger booth like a 30×30 or even a 50×50, it’s likely that your booth will be given a place of pride on the floor. Booths near the entrance and food court generally see the highest traffic. At a busy conference, it’s crucial that you grab an attendee’s attention almost instantly. The only way to do this is by creating a spectacular display. There are a number of ways in which you can do this. You can opt to use large props to draw immediate attention to your booth or utilize stunning background graphics across your display. You could also design your booth to include a lounge area to drive visitors to your space. While they’re relaxing at your booth, you can seize the opportunity to talk to them about your offerings and hand out marketing materials. Another great way to improve brand recall is by using your brand’s logo and colors extensively through the booth. This will ensure that people remember who you are and what you do even after they’ve left the trade show. Booths that provide customers with the opportunity to win amazing prizes generally do very well at trade shows. It’s a good idea to plan competitions for the event or simply host a raffle by collecting visitor cards when potential clients come to your booth. Depending on how enticing your prize is, you could see increased engagement thanks to the possibility of winning something cool at the end of the day. The staff manning your booth will interact with prospective customers during the trade show. They will represent your brand on the show floor, so it’s important that they behave in a professional manner at all times. We recommend providing each member of staff with a list of rules that should be followed while they’re at the booth. This could include guidelines regarding their attire, where and when they can eat or drink and how to address people who approach the booth. Now that you know what you should do to enjoy success, let’s take a look at a few things to avoid while preparing for the trade show. While we’ve all heard the adage ‘go big or go home’, it doesn’t necessarily apply to the size of your booth. Larger booths are expensive and end up being a waste of space, especially if it hasn’t been designed properly. Instead of springing for a larger booth, consider using the space you have effectively by utilizing live walls and innovative product displays to capture audience attention. In the months and weeks leading up to the show, it’s vital that you create as much buzz as possible about your attendance on social media platforms. You can post engaging videos and images on your pages and use the official event hashtag to boost your visibility online. This will encourage people to come to the event and interact with you and your booth. If you’re too keen on sharing information with customers, it can be quite daunting for them and they might leave your booth abruptly. Instead of simply providing potential clients with facts and figures, ensure that you and your staff members use the 80/20 rule. Listen for 80% of the interaction and talk for only 20%. This will give you the ability to understand the person’s needs and provide them with the perfect solution for their requirements. While it’s true that we live in a digital age, this doesn’t mean you have to infuse every aspect of your booth with the latest tech. If your budget isn’t quite flexible and you have to make the choice between a self-service kiosk and a well-trained staff member, always prioritize the staff over the kiosk. Your staff can add a lovely personalized touch to each of their interactions, which will trump anything that a fancy piece of equipment can provide to customers. Trade shows draw in large crowds and not everybody who comes to your booth looking for information is a key decision maker. This means that you will need to find a way to qualify your leads before you spend a large amount of time and resources on showcasing your offerings to them. Your staff members should be able to ask leading questions that will help them understand who they are talking to before they decide how much time they should spend with them. Instead of trying to convince customers that you’re better than others because they’re bad, focus on what you bring to the table. Speaking ill of your competitors is off-putting and shows that you’re insecure. While you might be very familiar with all the words that are used in your specific industry, it isn’t safe to assume that people visiting your booth are as aware as you. Instead of using big terms or abbreviations, make the effort to simplify what you’re saying so that everybody can understand. Attending a trade show can seem like a daunting experience. However, with these dos and don’ts, the planning process can be made a little bit easier. While you’re gearing up for your next event, don’t forget to pay attention to your goals and your booths design. These important elements will dictate how much success you can enjoy at the upcoming event. At the end of the day, it’s important to remember that a trade show can help you meet a number of marketing goals all at once, so preparing for the event months in advance is absolutely crucial.